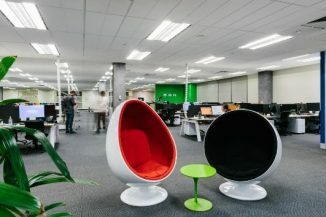 Following the arrest and subsequent jailing of a Queensland call centre worker earlier in the year, two call centre workers for Canberra based Electricity and Gas retailer ActewAGL were jailed after skimming customer accounts of approximately $13,000. The two call centre workers jailed were Taylor Jade Geoghegan, 20, and Jessica Kate Anderson, 29. 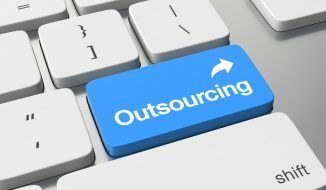 Both were contractors employed as customer service staff, where they were expected to answer calls and manage accounts. Ms Anderson was been charged with 15 counts of fraud. Ms Geoghegan was charged with 15 counts of being knowingly involved in the fraud. It was alleged Ms. Anderson would note down the details of customers who called up, targeting people who had set up regular payments with ActewAGL to manage their bills and subsequently had accounts in credit. She would then transfer the amount in credit from their accounts to hers. The alleged scheme began to unravel when a customer phoned ActewAGL on May 22 querying the transfer of $2,000 that appeared on her recent bill as a refund. The woman said she did not authorise the transfer. According to court documents, she was “not happy and was upset”. Documents tabled in the ACT Magistrates court revealed a history of emails and phone calls that provided evidence on how the pair orchestrated their crimes. “OMG I HAVE THE BEST IDEA,” an email from Geoghegan’s work email account to Anderson’s work email on March 30 reads. Both women resigned from the contracted recruitment agency on May 10. The same day the two women bought plane tickets to Las Vegas in December later this year. Police are looking into the funds used to buy the tickets. Anderson was originally arrested by ACT Police on June 30, 2017, and remanded in custody while Geoghegan was granted bail. All calls to the ActweAGL’s call centre were recorded and used as part of evidence. On Monday 3rd September 2018 Magistrate Glenn Theakston sentenced Taylor Jade Geoghegan, 21, to eight months jail, fully suspended with a good behaviour bond, along with 160 hours of community service. Geoghegan was also ordered to repay the power company $6,065. Anderson had already been sentenced earlier in February 2018 after pleading guilty to six counts of obtaining property by deception, two attempts at the same, one joint commission and one anti-money laundering. She was sentenced to eight months jail, backdated to January 21 to account for time she had already spent in custody. She was required to spend two months behind bars and was released on a six-month good behaviour bond in March. 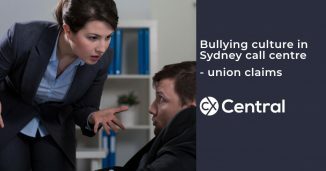 A union has claimed there is a bullying culture in the call centre for one Australian outsourcer that provides telemarketing services for charities.